Get ready! 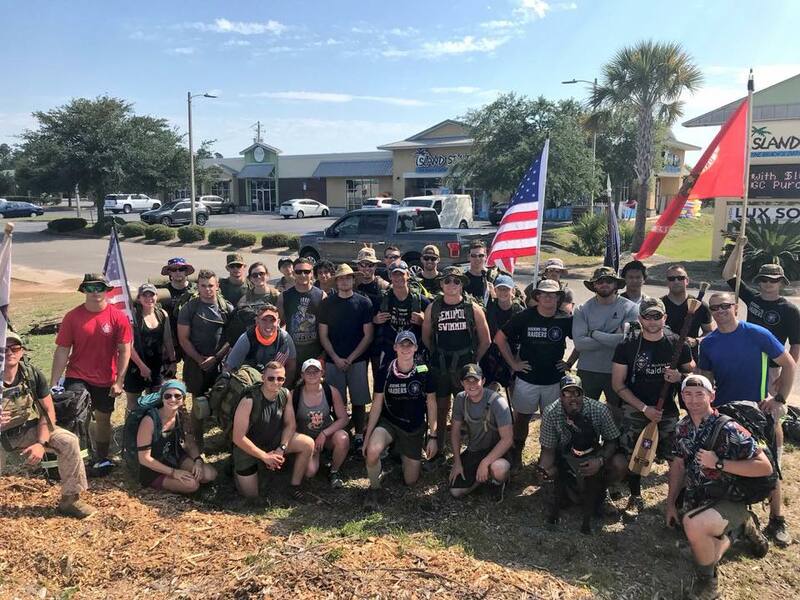 Rucking for Raiders will be conducted its 3rd annual memorial march this spring. We will be conducted the same trek; 209 miles from Auburn, AL to the Raider 7 Memorial in Navarre, FL. The dates of the event will be May 7 – May 9, 2019. Last year was an amazing success. In total, we were able to raise $13,574.15. That means that we have raised $24,334.15 in just 2 years! 100% of those funds went to the Marine Raider Foundation with the purpose of supporting the Gold Star families of fallen Marine Raiders, as well as Marine Raiders, through the Tragedy Assistance & Survivor Support Program, the Family Resiliency Program, and the Raider Preservation Program. We are extremely excited about this year and we encourage you to join us! 38 Ruckers took part in last year’s event and every one of them crushed it. Stay tuned for more updates as the event gets closer!